ME LIKE - for easily taking what is needed for my health. Facing much information, we become more apprehensive about health. However, the vast majority of unnecessary and inaccurate information confuses us and concerns over health may harm our health. ME LIKE suggests easy and convenient solution most suitable for your situation. ME LIKE helps the right nutrients are easily absorbed based on your situation. Unlike supplier-oriented products, ME LIKE provides nutrient tailored to the lifestyles of consumers with a variety of characteristics and constitution. With EPA and DHA containing oil and lutein, ME LIKE for EYE is for customers who need eye protection and health improvement. 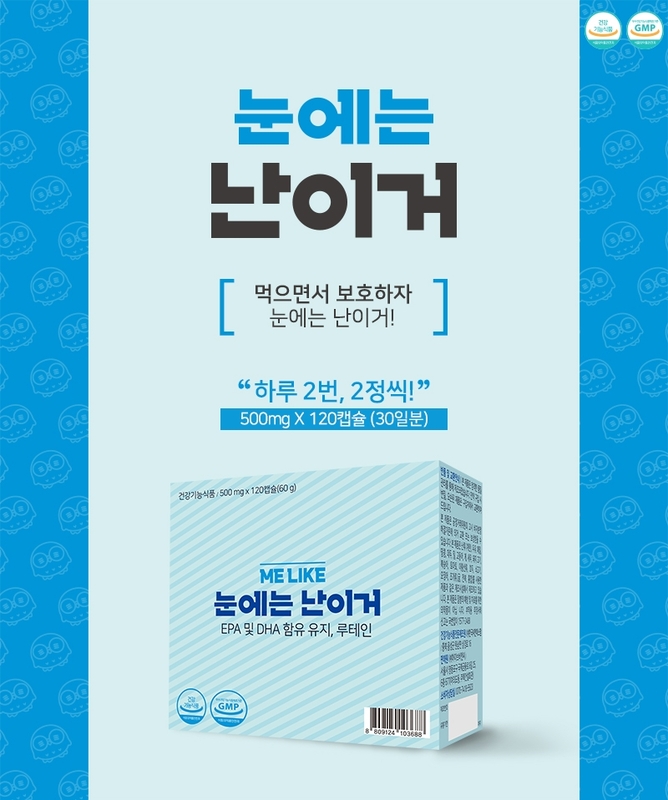 ① In case of specific constitution and allergic constitution, check the ingredients before taking it. ② Child should take it under the supervision of a guardian as it may be caught in throat. ③ Overdose may temporarily turn the skin yellow.